These small spaces pose a challenge when you’re trying to create a unique artistic space. So when the opportunity to add to your living space comes around, of course you take it. One of the biggest challenges of acquiring new space is connecting them in a cohesive design! Susan Saba, a Manhattan condo owner, faced this challenge head-on. When the apartment upstairs became available, she jumped at the opportunity to expand her living space. Her next challenge was connecting the two condos in a way that highlighted her personality and talent for artistic expression. She needed a stair that conveyed elegance and a chic appeal. 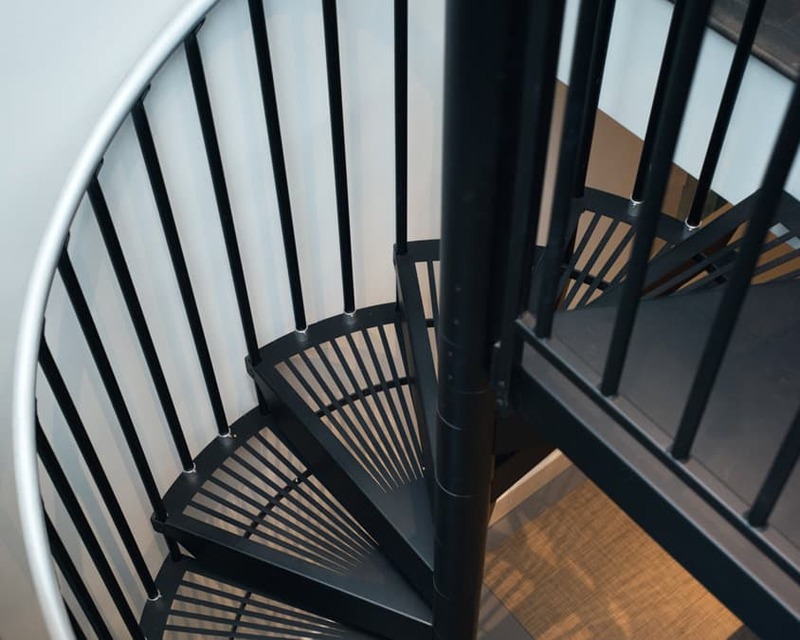 Salter Spiral Stair was prepared to help her find the stair solution for her home. 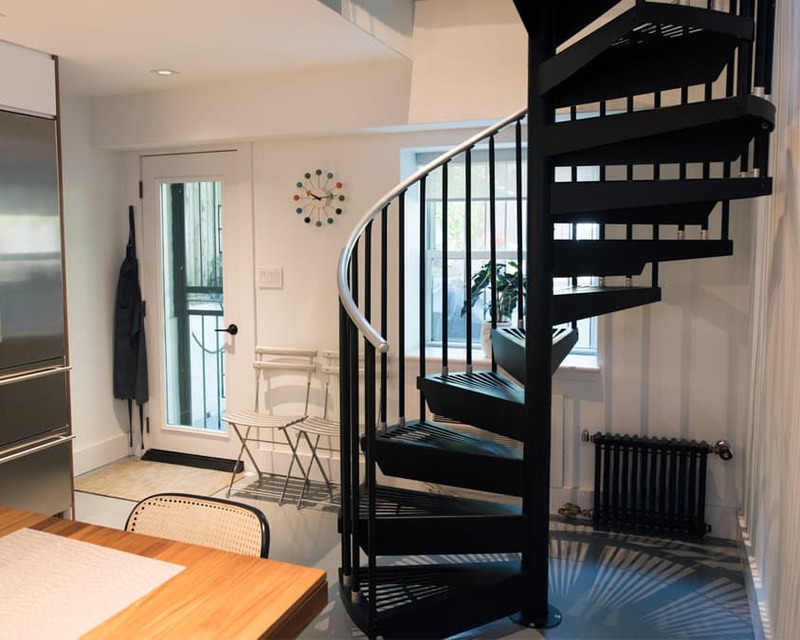 After looking around at the different options, Susan learned that only a spiral stair would maintain the minimalist look she desired. 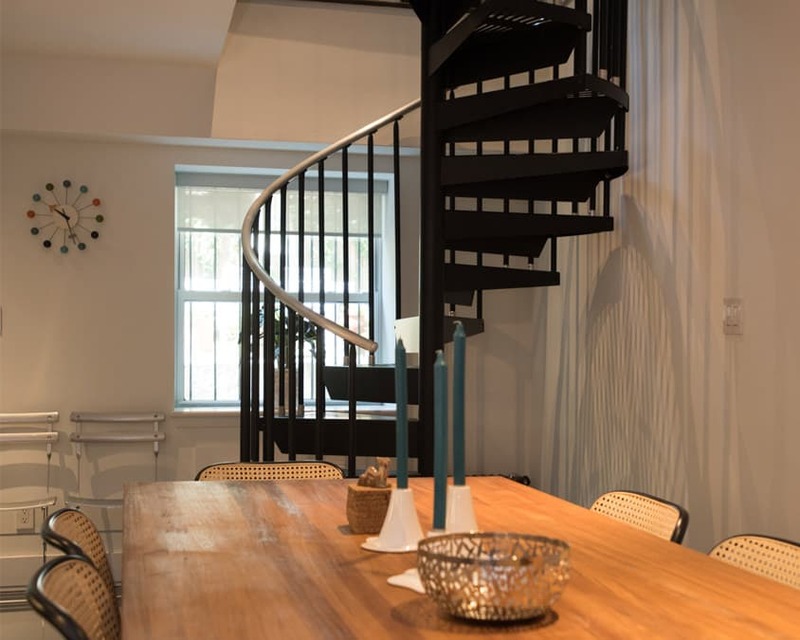 More than that, she discovered that the curved lines of a spiral fit perfectly with her existing décor. 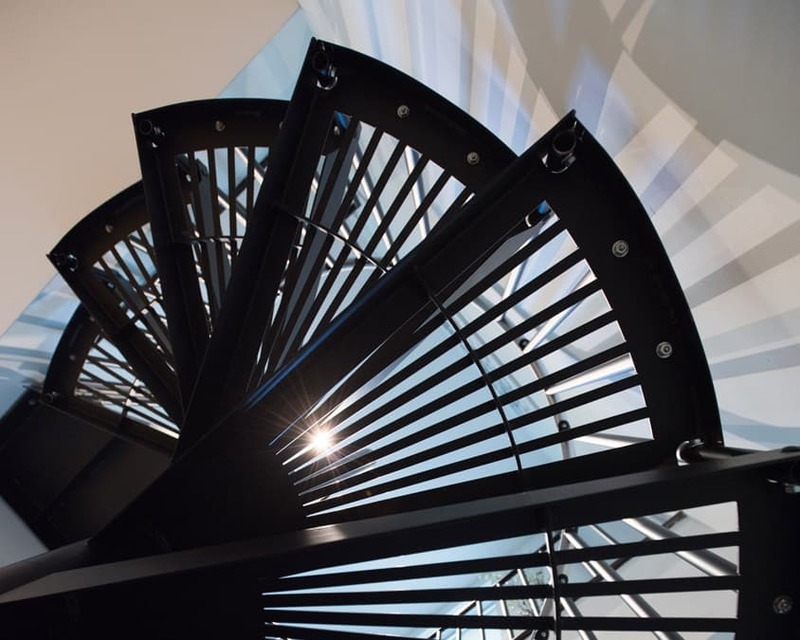 Her spiral stair design supported the creative aesthetic of her home, all the way down to the shadow it casts on the wall. 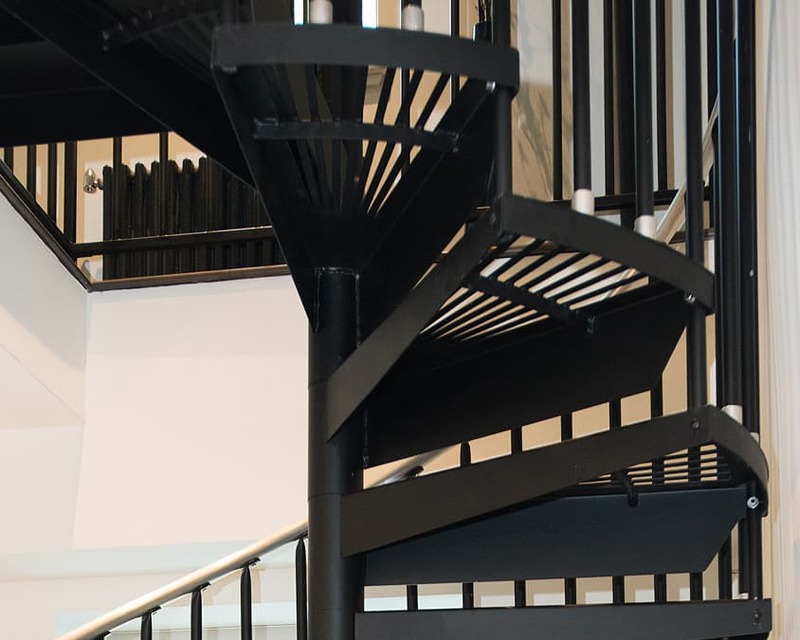 Salter’s Classic Steel spiral was the stair with the clean silhouette and modern black finish Susan needed to give this artistic expression life. It can be hard to combine two seemingly disjointed spaces. Susan found the solution in her Salter spiral stair. She could expand her living space and move from one condo to the next without taking up all of the square footage she created. 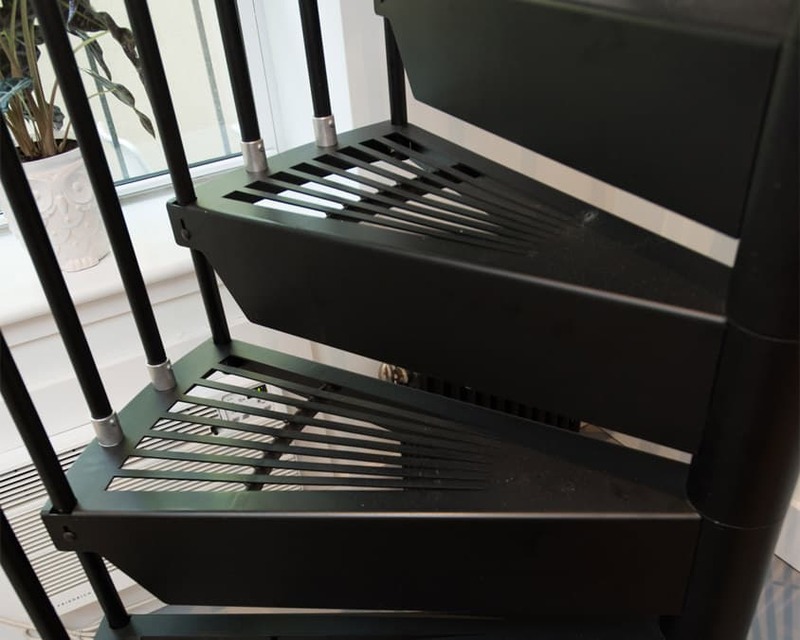 The Classic Steel is also our most versatile and can be customized to fit all your interior stair needs. We have manufactured this model for over 35 years and it has stood the test of time and durability.